Rating: 5/5 - if you teach American History or comics - or if you simply love the history behind comics - this is a must-buy book! A collection of academic articles on comic strips, comics, and graphic novels - focusing on depictions of African-Americans in this media from the late 1800s through 2000s. There is also a strong sub-focus on African-American women as well. Factual? Each article is well annotated and referenced. Wow - do yourself a favor and buy this book! I wish I taught a US History or African-American History course - an entire curriculum could be created with his book as the center. This book is intelligent, sociological, historiographical, witty, and modern. I have purchased a lot of the titles mentioned in this book and have added a entire new section to my comics library as a result. This is not a collection of essays with proverbial axes to grind - the topics are well-balanced, honest, and leave the reader with hope for the future of diversity in comics. A good portion of the essays discuss the history of comics in general - this is not a one-sided approach at all. Again, Black Comics tackles a wide-range of issues (don't let the title fool you) - history of American newspapers (Yellow Journalism), romance comics, societal and political changes, even some history of manga as well. 1. My daughter has red hair - this has often been a focus for others as they comment on her hair - much to her discomfort and my chagrin. It really is just something "different" for many - but I do not want my daughter to so strongly associate herself with an external look. My wife and I work hard to instill in our daughters the values of intelligence, independence, creativity, and to not be hemmed in by society's gender roles. She always loved Ariel (Little Mermaid) as she associated with someone who shared her physical appearance. However - this was another female who was not exactly strong/independent enough for us. When Brave came out, (again - red hair) - we were very excited as this was not an ordinary princess, waiting to be rescued - we were happy that our daughter identified with this character with positive traits. This is the same need for any child - no matter the ethnicity - finding a strong and positive role model with whom he/she can identify. For my white son, this is all too easy - there are almost innumerable strong white superheroes with whom he can identify. I was able to more fully understand the impact of this issue for the African-American (and female) community through this wonderful resource. 2 I lived in a predominately African-American community for some time - I was, by far, the minority. When going to the stores, I was initially surprised to find that most of the greeting cards had black faces, that religious items depicted dark faces, and that Santa Claus was black. I think this to have been a crucial experience for me and it has not only made me a better/open-minded person, but also a better teacher. Again - this personal experience is a direct connection to Black Comics - this resource is eye-opening on so many levels. I personally believe that it is so very important for students to see a diversity of resources and leaders in schools - posters, videos, books, teachers, administrators, etc - this book further cemented this idea for me. I had no idea of the large black comics community - my Twitter feed has begun to diversify as a result. I have many black students, and females, sign up for my comics course as well - always exciting to see that comics are not just for the scrawny white kid! I will now have more resources to share with students. For the editors - I would love to see another edition - perhaps this one can include interviews with some of the authors/artists for the comics and how they see society, etc. I would also imagine that Falcon becoming Captain America will also have an impact on a second addition as well. As a side note - I am also excited to see the new Wonder Woman (more warrior/Joan of Arc than sexual object) and Batgirl (no loner a skintight latex uniform). Tracing newspaper comics and how they mirrored societal changes in the United States. Do comics mirror society or is the opposite true? Have students read some of the titles - then complete research on the time period it was published. Compare/contrast. What would be the impact of changing your favorite comic hero's gender/ethnicity? Have students peer into the future - how else might comics change to mirror ethnic/gender changes in the US. Basic Premise - a collection of analytical essays on multiple topics of comics and impacts on American culture. 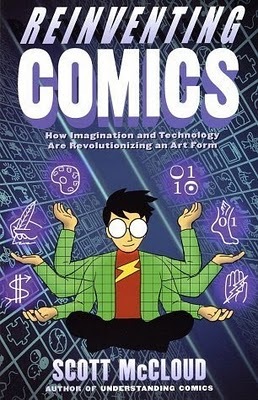 This is an excellent book to not only widen one's own perspective on the importance of comics, it is also a wonderful resource to "defend" the use of comics in an educational setting. 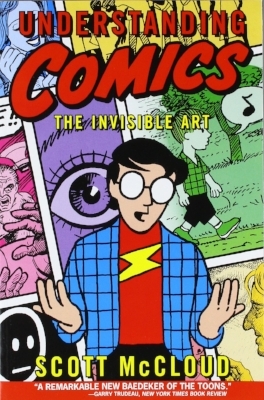 Be forewarned - reading this book will lighten your wallet and increase your comic collection! Not only are the essays on a variety of topics (9/11, AIDS, homosexuality, Salem Witch Trials, historiography, Alexander Hamilton, propaganda, immigrant experiences, terrorism, women's rights, etc, etc) but the authors are also from varied backgrounds (Air Force Academy professor and even an avowed non-fan of comics). As a teacher, I found lesson plans forming in my head as I read the essays - some lesson plans were more or less right there in the book - just need a little formalizing. The major point of this anthology, as explained by the editor, is to teach students how to critically think and read. I wholeheartedly agree as I was forced to rethink some of my own preconceived notions on comics and on contemporary history. The comics written about are, for the most part, not some obscure comic that students will not have read - these are popular characters dealing with relatable issues. 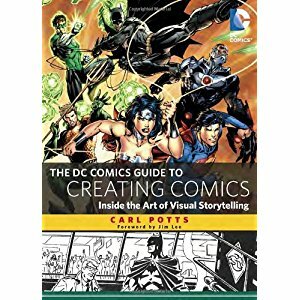 The book is great for the teacher/student just beginning in the field of comics as academia - but also a great resource for the veteran comic fan as well. Do Now - Are comic books valid resources for social studies class? (pair/share thoughts). They are then to bullet/explain what this comic can tell the reader about the society in which it was published. After the students have explored and had time to pair/share - we will then create a class list on how historians can analyze written material. I will help them to understand that we need to look beyond the actual storyline -- what can the advertisements tell us about the society/author/company/intended audience?, what do you notice about the letters to the editor?, what are the gender roles?, do you know of any historical events that were happening when this book was published - did it have an impact?, etc. What happened before the comic? What happen after? C. See if you can find some titles that have something to do with your course - example - Hulk if you are teaching about the Cold War and nuclear weapons. Do Now #2 - do you know of any comic book characters/stories that represent historical events? (pair/share answers). To conclude - I will then show a teacher created powerpoint of comic examples (i.e. 9/11). Compare/Contrast an historical primary source (diary of Dutch explorer Harmen Meyndertsz van den Bogaert, 1634) and how it was depicted in the graphic novel, Journey into Mohawk Country by George O'Connor. A. Have students read through the diary before discussing/showing the graphic novel. They will create a summary of what was fond in the diary. Special focus should be on interactions between van den Bogaert and the Native Peoples. The students will also create a list of questions of what they would like to know more about - what's missing/not told, etc. B. Students will then read the graphic novel - the words of van den Bogart are written on the pages - but the drawings are that of O'Connor. The task will be to see what the author changed - perhaps to his own biases/opinion. 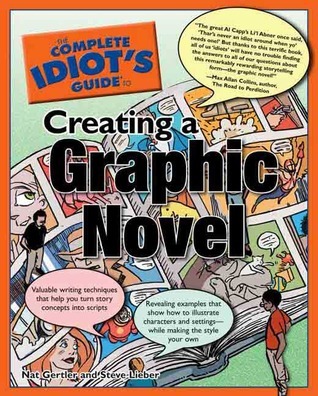 C. Students will be tasked with looking through the graphic novel and writing down what has been created either through artistic license or even fiction. Students will be directed to also go through their original notes on the diary to catch the differences. D. After a session of pair/sharing - the class will share their thoughts on the dangers of historical interpretation. Was O'Connor completely off-base or is there sufficient textual evidence to create a clear understanding of why he drew things in a certain manner? Again - focus on the roles of Native Americans - especially females. 3. Hand out a selection of titles published after 9/11 (there are many examples) that may show how American cultural identity has changed. Students can research to see if art imitates life or if life imitates art. 4. Fall 2014 - hand out copies of new Thor (female), Captain America (African-American), Ms. Marvel (Muslim), Batgirl (non-sexualized costume) - have students discuss how these comics show changing American culture. If you have them - hand out older copies of titles like Wonder Woman to contrast.